Imagine you could take 100,000 people through a series of tasks of your choosing while simultaneously collecting accurate emotional response data on their responses. Further, add to that dream, that minimal direct incentives were necessary to collect that information? What kind of research solution could you make out of that ability? ……..
Now put yourself in the place of a medium sized MR agency trying to compete with the big players in advertising evaluation. What if you could measure reaction to every ad in a category (your client and their rivals) across three countries simultaneously and get results back to the client in days, not weeks. Add to that idea, the supposition that the fieldwork cost of all that is about the same as others take to collect information on 1-2 ads. What would that let you discover about how advertising really works in your client’s category? Would it make you more competitive? Neither of these ideas is a fantasy with the use of facial imaging technology. 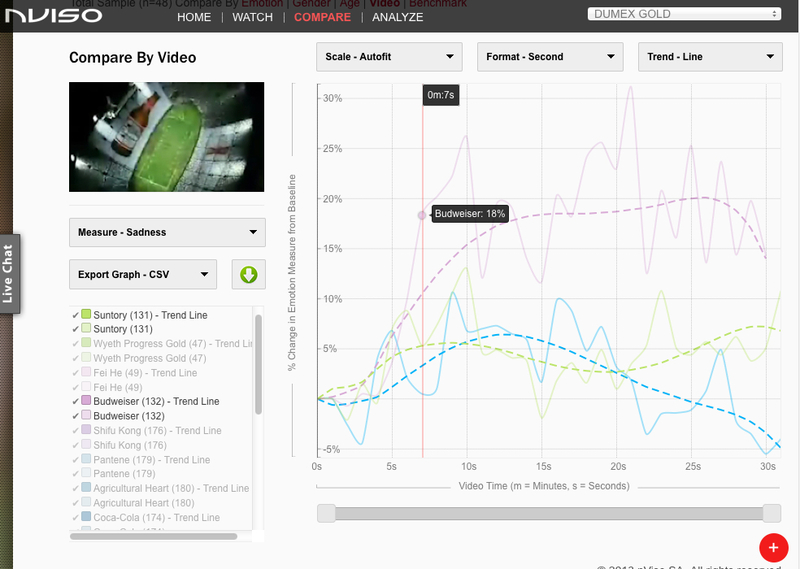 nViso’s 3D Facial Imaging solution has been integrated into a project with Cinemax (http://www.google.com/think/campaigns/cinemax-hunteds-byzantium-tests.html) in which viewers effectively play a “spy game” and have their emotional reactions recorded at various stages for entertainment purposes. In the viral campaign they analyzed over 1 million people in the first 10 weeks of the campaign. It doesn’t take much imagination to see how, with a bit of “gamification” expertise, that this kind of scalability could be the basis for a powerful choice modelling/prediction solution. Similarly at Gordon & McCallum we recently worked with Cimigo (a leading Asian branding and MR agency) and nViso to conduct a project across five Asian markets in which we evaluated 75 TV ads in a single study. Because we could easily expose each respondent to multiple ads, the fieldwork effort in collecting this information was a fraction of that required for 75 conventional monadic tests. Yet consider for a moment the scale of data resulting from such a study – second-by-second measures of seven specific emotions recorded passively across multiple ads and categories. It should be obvious that the potential for sophisticated analysis and modelling is vastly greater than that obtained from a standard set of survey responses. 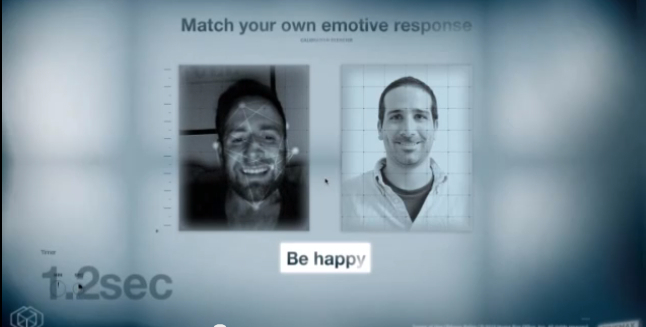 The point to note about both these examples is that facial imaging is not a “research product” as we are used to thinking about them – it’s a technology platform that can serve a variety of research purposes: a media company can integrate it into a game on a website, or a MR agency can pull it into a concept-test study. The pan-Asian study noted above was conducted via CLT (Mall) tests, while many other studies have been done online, so geography is not an issue. We also like the idea that the technology is “marketing theory agnostic” – essentially it produces a bunch of numbers reflecting the level of emotional response to a stimuli – these can be cross-analysed by any questions you like, or integrated into all sorts of research models. While it does require stimuli, this doesn’t have to be an advertisement: concepts, words, packs and videos can all be used. Possibly most importantly, this is an ideal format for clever experimentation – innovative researchers will soon, we believe, be creating their own videos as stimuli – like collages in today’s Focus Groups such videos will mix dozens of branding, positioning and imagery elements; but unlike a focus group, facial imaging technology will provide far more statistically robust conclusions on which combinations of marketing inputs are most effective. What all this means is that brand managers and researchers need to think outside the “neuro-testing” box when it comes to considering the uses of facial imaging technologies. While we think EEG is very powerful for many purposes, it isn’t going to collect data online, or be integrated into a major tracking study, and it isn’t likely to be cost-effective for work in Lagos, Lucknow (or possibly even Little Rock!). The big point about facial imaging then, is that it is taking accurate emotion analysis into settings it could not go before, with sample sizes that have not previously been feasible. This is truly a transformation of how we think about collecting “soft-data”. It’s also accessible in the sense that it’s not too expensive and is easy to implement — so any brand manager or MR or advertising agency anywhere in the world can give it a go! Those that do, and use it imaginatively, are likely to find that it provides a real competitive advantage. This entry was posted on Monday, September 2nd, 2013 at 10:00 am and is filed under Decision making, Emotion Research, Future, Innovation, Neuroscience, Research Methods, ROI. You can follow any responses to this entry through the RSS 2.0 feed. You can leave a response, or trackback from your own site.